When you combine hard word, entrepreneurial spirit and team effort, you are guaranteed of hitting a winning formula. These 3 things lie behind the success story of Zandile Mtengwane. 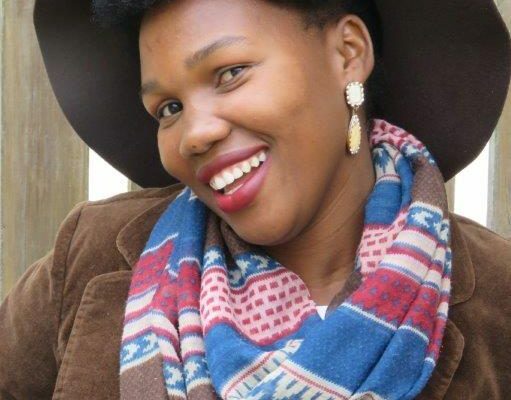 Zandile knew she could make a difference in her life and those around her and that is what prompted her to sign up for the “Introduction to Fashion Design” course in May 2015 at the YFC Craft & Skills Development Centre. When she earned her first R40.00 from sales made at the Oyster Festival in July 2015, she used the money to buy some material. From this material she made some easy pattern products and sold them. With the money made from these sales, she bought more material. As she progressed with the course, she was able to make more difficult & complicated items. After graduating from the Introduction to Fashion Design course, she felt she was now ready to start making dresses. She then connected with Leah Mbondo, another student from the Craft & Skills Development Centre. Leah has her own stand at the market in Sedgefield and they teamed up to sell some of the products made by Zandile. Based on her experience, Leah gave Zandile valuable feedback about the customers and sales in general. In February 2016, Zandile started the Paradigm Shift Course. This course teaches the students to become good entrepreneurs and combines faith with business. It is basically a course teaching business skills based on biblical principles. During the course she learned all about marketing, budgeting, advertising, branding and much more. Every week she would implement the weekly challenge put to the students in her own situation. At the devotional section of the course she learned to put God first, not only in her personal life but also in her business. She grew more confident in herself, her skills and also spiritually. Indirectly the Computer Course given at the Craft & Skills Development Centre helped her as well. A family member was studying this course and she helped her to create her own flyer/brochure. For Zandile it has been a dream come true. She has been dreaming about a way to link her Christianity with her passion for fashion. She wants to use fashion design as a tool to reach out to the women in her community. Please support this entrepreneurial and inspirational young woman!